Society tells us that we'll have to shell out the big bucks and head to Paris, Rome, or Seattle (some people are pretty sleepless there, we hear) to find romance and romantic getaways, but we think it's just as significant to head to the Midwest. More specifically, we're talking about Missouri and Branson. This city is full of things that make hearts both young and old grow fonder, from its eclectic mix of fine dining experiences to its plethora of dinner shows and events. Here we've assembled the absolute best in the area, so grab your significant other and read on, you old charmer! Perhaps you're the kind of couple that loves to be competitive with each other. Why not combine your competitivness with a stunning romantic destitnation at Thousand Hills Golf Resort? Providing plenty of beautiful vistas while maintaining a close proximity to all the fun Branson has to offer. A romantic excursion in one of their townhomes, cabins, condominiums or suites is an indulgence in mind, body, and spirit. 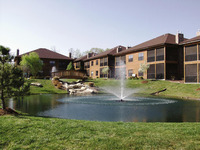 Swimming pools, hot tubs, tennis court, loaded workout facilities... the surrounding attractions are many and diverse. You'll love the relaxation, the hospitality, and the close proximity to the endless wonders of historic Branson. And the golf, of course! The course has something to offer all levels of players and it showcases the stunning natural features and natural vegetation that make the area so beautiful. The Branson area contains over 400 different restaurants with a total seating of over 35,000 seats. If you're in need of a scenic place for a event, meeting, gathering, reunion or conference, Thousand Hills Golf Resort is the destination for you. Get in touch with one of their experienced event planners to see what they can do for you. All the comforts of home Couples flock from all over the country to stay at Amazing Branson Rentals- dare we say that you and your significant other will have an... amazing time? Providing both superb customer service and opulent properties, Amazing Branson Rentals ALSO has the good fortune to be adjacent to Table Rock Lake. You and your sweetheart can while away the days swimming and relaxing on the shore, then hit the town at night! Branson is famous for its shows, restaurants, and nightlife, so make sure you experience as much of it as possible. Your property, meanwhile comes in a wide range of sizes and styles, from two to six bedroom cabins. If it's just the two of you, you might prefer something a little smaller, however (which you can also find)! Step inside and enjoy the rustic furniture, hot tub, and back deck- you're home! Table Rock Lake is the crown jewel of natural beauty in Branson, with something to do for everyone! Spend the day riding roller coaster at Silver Dollar City or take a train trip around the Southwest Missouri wilderness! Branson is known for a host of things, from its incredible dining options to its vast swath of attractions and amenities. A close proximity to all makes a stay at Stonebridge Resort perfect for families, friends, and ESPECIALLY couples looking for romance! Wake up in the morning, grab a cup of coffee and the paper, and relax on a lofted deck- this isn't a dream, it's simply a morning at Stonebridge. Once you're ready, you simply need to walk out your door to find boundless entertainment. LedgeStone Championship Golf Course is onsite, and it's beautiful design makes for as majestic a backdrop as it does a playing surface. All types of accommodations are available, from standard rooms and suites to villas and luxury homes. You can be as opulent or as thrifty as you deem necessary, but don't forget to try out the three swimming pools and three tennis courts onsite! Check out the world-famous live entertainment district of 76 Country Music Boulevard! Just two miles from Silver Dollar City and three miles from Table Rock lake! You and your sweetheart will find culinary delights, on-site activities, and all the modern luxuries of a five star resort, right here at Stonewater! Stroll along the nearly 500 acres of Table Rock Lake shoreline, hand in hand, taking in the sight and sounds of Mother Nature's best. This is Stonewater, and you couldn't have picked a better place for your romantic weekend away. The forest river valleys and ancient mountains in the area may be physically imposing, but get a little closer and you'll see incredible beauty. Go on an adventure- hiking, fishing, and mountain biking are all popular choices. But if you prefer a slower pace, simply relax in your stupendously cozy accommodations or go get pampered at the spa! End the night with s’mores at the bonfires and stargazing in a crystal clear night sky. Simply relax by the pool or enjoy the many activities available any time such as canoeing, kayaking, fishing off the dock, mini-golf, bocce ball, movies, and games. A lot of couples come to Big Cedar Lodge with a question. The Lodge is cozy, and focuses on personal care and attnetion rather than putting in as many rooms as possible. So where does the "Big" part of Big Cedar Lodge come from? A Little-known fact: the "big" isn't just for its size, but also for its hospitality! Sitting just 10 miles south of Branson, Big Cedar Lodge is self-described as "rustic elegance of a by-gone era". This remote haven of natural beauty and contemporary luxury in the beautiful Ozark Mountains is host to a wide swarth of romantic activities and escapes. Horseback riding through the countryside, a bevy of luxury fine Branson eateries, and rooms that are fresh out of a poet's afternoon dream. Featuring a collection of fantastic log cabins in addition to the main lodge itself, and you'll rest easy knowing that should you need a little or a lot of space, it'll be easily accommodated. Just don't forget to check out the full-service marina, world-class fishing, golf, and multitude of nearby trails for a well-round romantic weekend! 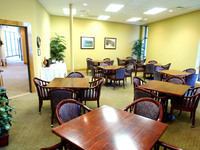 The resort is located 1.7 miles from Big Cedar Hollow and 9 miles from the Branson Creek Golf Club. There are several dining options, from a casual cafe to a rustic-chic space with lake views. When searching for a fitting romantic retreat, you're clearly going to be looking to spoil yourselves. Well, you'd be hard-pressed to find a more luxurious resort in the great state of Missouri than D' Monaco Luxury Resort. D' Monaco's beautiful rooms and interiors are matched only by its intense hospitality. From your villa suite you'll enjoy gorgeous views of Table Rock Lake, not to mention ease of access for swimming, fishing, and more. Privacy and seclusion are paramount here, and you'll attain it in unprecedented comfort, and with the woman/man you love. The luxurious villa suites are decorated in an exclusive Mediterranean style and feature soaring ceilings and your personal private veranda, where you'll clink your glasses of wine and watch the sun set . Whip up some food in your full kitchen or just catch some sun; it's your vacation, so do what you'd like! The resort is 12 miles from Table Rock State Park, giving you and your special someone easy access to outdoor exploration. Other amenities include a beach sunning area, lakefront firepits and boat slips. 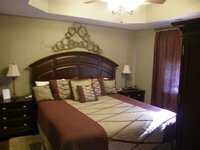 For those of you that require a LOT of room on a romantic getaway, the friendly staff of Branson Vacation Homes have you covered! Branson Vacation Homes's nine properties are absolutely perfect for family vacations, a weekend with friends, and ESPECIALLY romantic getaways. Each has its own charms, space, and amenities, but all share the spectacular backdrop of the always-majestic Table Rock Lake. Up to 24 people can be accommodated per house, but for parties of two the excess space is a luxury that is completely worth it. As far as romantic activities go, the Branson features some of the best nightlife in the midwest. Fine restaurants, hopping bars, and plenty of cabs for getting where you need to go. During the day make sure you get some sun by the pool, go swimming in the lake, or window-shop in scenic Silver Dollar City! Step into the heart of the looming Ozark Mountains and you're simultaneously stepping into unparalleled romance. Westgate will make you forget your stresses and worries, and help you and you partner concentrate on what truly matters- each other. The Resort's 145 wooded acres provide easy access to spectacular lakes and dense forests, ideal for afternoon hikes or moonlit strolls. When you aren't relaxing in your astoundingly cozy room, you'll be testing your mettle on a nearby championship golf course, shopping in Silver Dollar City, or experiencing the famous live shows in Branson– aka "The Live Entertainment Capital of the World!" Spend your weekend how you like, but by the end we guarantee you both will be loathe to leave! Hungry? Onsite Cordovano Joe's Authentic New York Style Pizza is available for pick-up or can be delivered direct to your villa or poolside! The resort's state-of-the-art Fitness Center features premium fitness, cardio and weight training equipment for guests who want to keep up their workout regimen while on vacation! Water-based frivolity in a cozy Branson wrapper- what more could a couple want? Calm Waters Resort calls beautiful Table Rock Lake home, and after a short stay you'll wish you did too. Although the resort is just minutes from Branson's prime attractions, you don't actually have to leave to find fun. Table Rock is known throughout Missouri for its incredible fishing, water sports, and recreation. Grab a tan on the beach or do a cannonball off the dock, then head into town for amusement parks, shopping and dining, and countless fantastic shows. 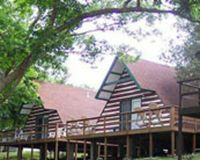 The resort is 2.3 miles from Silver Dollar City amusement park. Amenities include a lakefront pool with a sundeck, lounge chairs, and waterslide. With copious amounts of old-fashioned charm and the hospitality to back it up, Rockwood Resort is an ideal place for couples to spend the weekend (or more)! Step inside your two or three bedroom condo and you'll feel like Missouri loyalty, with complete remodels, new furnishings, and all new high-end housewares. Romance is in high-supply here, whether you're bar-hopping out in town or catching one of Branson's world-famous shows. After a memorable night, it's fantastic to return to some amazing memory foam beds and rustic luxury at Rockwood Resort! Besides the numerous entertainment theaters for which Branson is famous, other local attractions include Hollywood Wax Museum Branson, Silver Dollar City, White Water, Waltzing Waters, Mount Pleasant Winery, Stone Hill Winery, Ride the Ducks, Dolly Parton’s Dixie Stampede, Ziplines, Cave Tours, National Tiger Sanctuary, Go-Karts, Mini Golf, Horseback Rides, Butterfly Palace, and Rainforest Adventure. Pets are more than welcome here- they’ll love the lake as much as anyone! Ripley’s Odditorium is housed in a building that has been made to look as if it is cracked wide open by an earthquake or other disaster, while the Titanic Museum is a half-scale replica of the famous ship and iceberg. When you hear "Hotel Grand Victorian", you can't help but think of high-class luxury. The Hotel Grand Victorian exemplifies and personifies that. Just down the 76 Strip, the Hotel Grand Victorian offers a stunningly beautiful oasis in the middle of bustling Branson. Here you'll spend your mornings eating a huge continental breakfast, your afternoons swimming in the gazebo pool house, and your evening catching the famous shows around Branson. From the interior of your excessively comfy room you'll enjoy a plethora of amenities, from a refrigerator and coffee maker to free Wifi and cable TV (with HBO). If you get bored (unlikely), the Game Center has a pool table and action packed arcade games for kids and the young at heart. Romance is easy to find in Branson, especially at the Hotel Grand Victorian! The hotel is just one mile from the Titanic Museum. Other amenities include a rec center with arcade games, laundry facilities and a fitness center. Sure, you could stay in the typical hotel room, suite, or cottageo n your romantic getaway. OR you could fufill the fantasy that lays dormant within all of us and stay in a CASTLE. Now which sounds better? Step into the olden days, when a romantic weekend meant a weekend where you and another person are romantic together. Ridiculous, we know. But Branson Stone Castle top tier accommodations, amenities and hospitality will make you forget the habberdashery of the outside world and simply be with each other. From standard rooms all the way to to the specialty Jacuzzi Suites, one of the hotel's 300 rooms will be the perfect fit. Meanwhile, the onsite perks include pools, hot tubs, a gazebo with beautiful views, and wireless internet that covers the entire property. Get up on the battlements and surveey your kingdom- you're home! Over 65% of the visitors to Branson come from at least 300 or more mile away from the city. If you’re looking for a lodging destination that’s great for the entire family, Branson Stone Castle Hotel & Conference Center won't disappoint. From the family suites designed specifically for families to the on-site pools and game room, your family will never forget they stay here. Couples of all ages will love the comfort and privacy of their own lakeside cabin at Antlers Resort. Close to the beautiful waters of Table Rock Lake, you can spend your days basking in the views from the shore or enjoying a variety of adventures with your sweetheart. Complete with modern amenities like complimentary wireless internet, smart HD television, gas fireplace, and furnished kitchen or kitchenette. For a little adventure, take out a kayak to explore together the lake! After a long day, soak at the onsite pool! 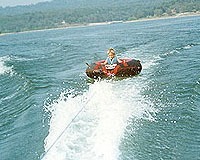 Bring your own boat, or choose one of their rentals for your convenience. The Antlers Lodge has a covered, lighted boat dock as well as a launch ramp to make it easy for your fishing adventure. Another resort located on the sparkling shores of Table Rock Lake, The Village At Indian Point is absolutely chock full of romance (and fun)! The Village's wealth of water sports, including boating, kayaking, scuba diving, fishing, are the perfect way to spend time with one another doing something exceedingly memorable. Should you get a little chilly on the water, head over to the heated indoor pool, zero-entry outdoor pool, incredibly luxurious spa. Get a couples massage as you appreciate Branson's natural glory, then head out on an adventure on horseback!. As a AAA Three Diamond property, people come to The Village expecting luxury, but what they get is so much more! The resort is just two miles south of the Silver Dollar City theme park and close to marinas and championship golf courses! Discounted tickets to most area shows and attractions are sold in the office!